EK-SF3D gear: DDR3-4078 reached; new AMD mounting available! EK Water Blocks, Ljubljana based premium water cooling gear manufacturer, is proud to introduce the newest addition to EK-SF3D line of liquid nitrogen evaporation coolers for extreme overclocking – the AMD mounting mechanism. 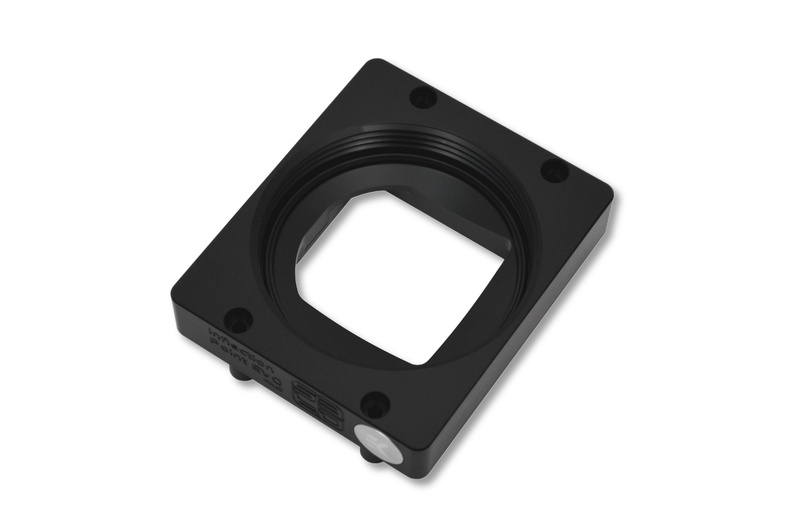 EK-SF3D Inflection Point EVO – Mounting AMD is a universal AMD AMx/FMx socket mounting mechanism for EK-SF3D Inflection Point EVO CPU evaporation cooler. This item allows the EK-SF3D Inflection Point EVO to be used on majority of AMD socket based overclocking motherboards. The product is made from precisely machined POM Acetal to fit past the nearby socket components. Backplate is made from 3mm thick stainless steel plate. This product also features plastic standoffs which prevents excessive compression of insulation material as well as warping of the motherboard. 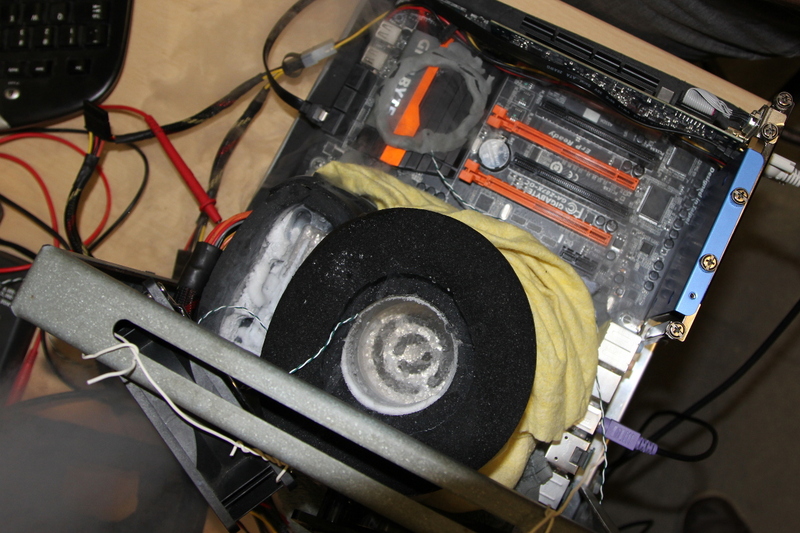 Enclosed heater can be used on the backside of the motherboard’s socket in order to warm-up the nearby VRM capacitors for higher stability during benchmark stress tests. The product comes complete with pre-cut self-adhesive thermal insulation sheets and is readily available for purchase through EK Webshop and and Partner Reseller Network. EK is also excited to report that the duo of consisting of EK Water Blocks engineer tiborrr and overclocking enthusiast Moonman managed to overclock a single module of DDR3-SDRAM memory to 2039.3MHz (DDR-4078 effectively) during the yesterday’s overclocking event, sponsored and supported by Kingston, Gigabyte and Intel. 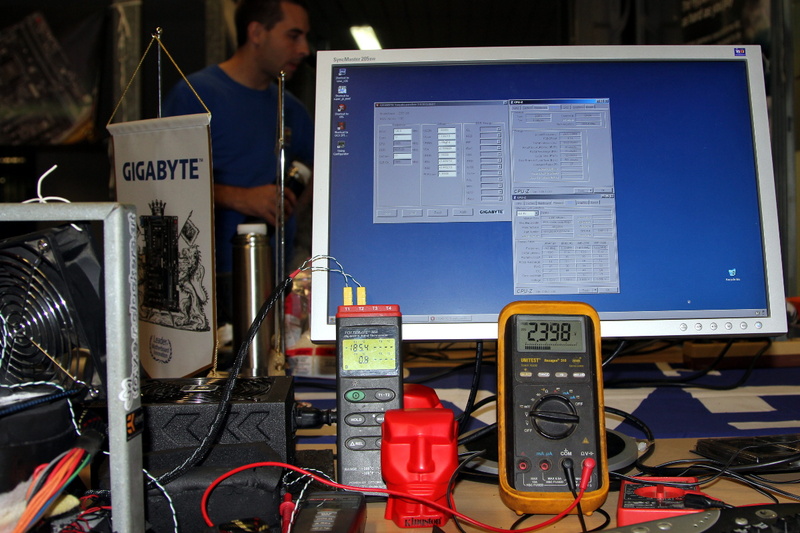 This overclocking event, organized by a local enthusiast driven computer shop Funtech was also backed by experienced overclockers from Hungary, namely [email protected] and subaruwrc. According to HWBOT, world’s leading benchmark result database, the attained frequency itself is the 10th highest DDR3-SDRAM memory frequency ever achieved. 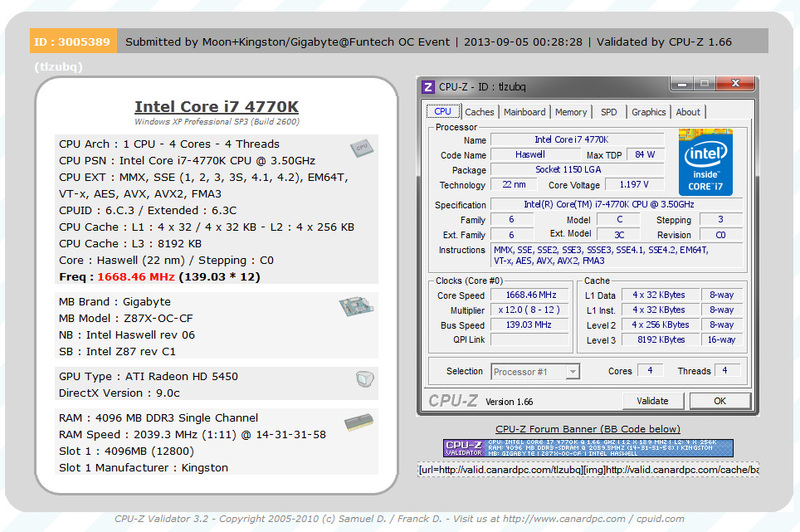 It is 3rd highest DDR3-SDRAM memory frequency achieved using retail variant of Intel Core i7 CPU. The duo used the liquid nitrogen cooled EK-SF3D Inflection Point EVO and EK-SF3D Triple Point EVO point which held the CPU at around -50°C and a single, 4GB stick of Kingston HyperX Predator DDR3-2800 CL12 memory at -185°C. Triple Point EVO is the only memory liquid nitrogen evaporation cooler on the market that can achieve and sustain such low temperatures.